A weekend in Vienna – fun, fascinating and flavorsome for anyone! 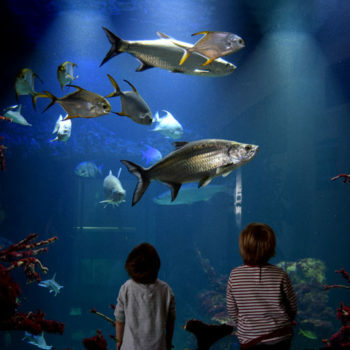 For families with children, couples on a romantic weekend or backpackers. A list of suggestions on what to do in a weekend in Vienna could easily have been in triple digits. However, we have collected a few places and sights in Vienna to show you the variety available. Moreover, which should be suitable for most people, not matter age. These suggestions are not mere tourist traps, but activities or places that even the locals enjoy visiting. 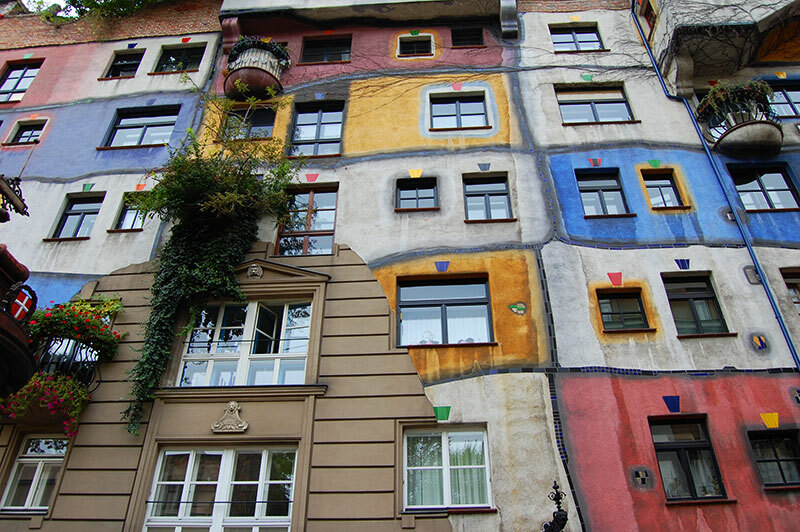 The Hundertwasser house in Vienna is one of the architectural highlights of Vienna. 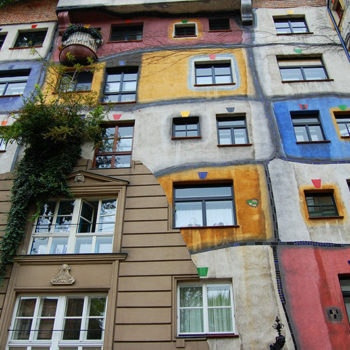 The house designed by Friedensreich Hundertwasser attracts visitors from all over the world. The colourful and quirky facades could not be more different from what you would expect from the old imperial city. It is far more than just a piece of artistic expression. People live in the house. Moreover, they are even allowed to set their own stamp on the house by decorating around their own windows. The amusement park lies in a large public park, which used to be the hunting ground of the nobles, in the 2nd district of Vienna. Besides the vast variety of the usual amusement park rides and attractions, the Prater also houses one of Vienna’s best-known landmarks since 1897, the Wiener Riesenrad (giant Ferris wheel). Another long-time running attraction is the Liliputbahn (narrow gauge railway) that takes you around the park in a 4-km loop in about 20 minutes. The Prater is open 24/7/365 and access is free. You just pay for the individual rides or attractions. Vienna has taken the opportunity to put in use one of the hideous concrete anti-aircraft gun towers left over from the Second World War. The 47 metres (130 ft.) tall concrete structure stands in the Esterhazypark (Mariahilf neighbourhood) and today house an aquarium (Haus das Meeres). 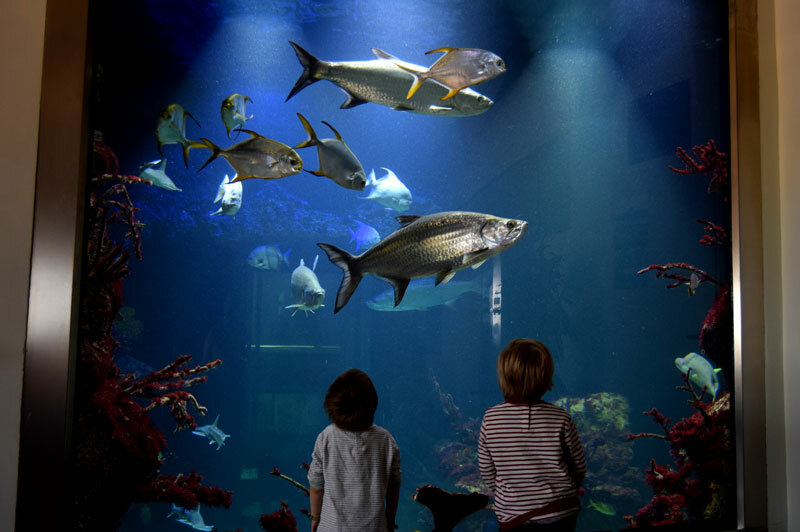 Spread out over 11 floors you find more than 10.000 animals, whereas most of them aquatic. The displays, despite constrained by the flak towers heavy blast-proof concrete shell, are very well presented. 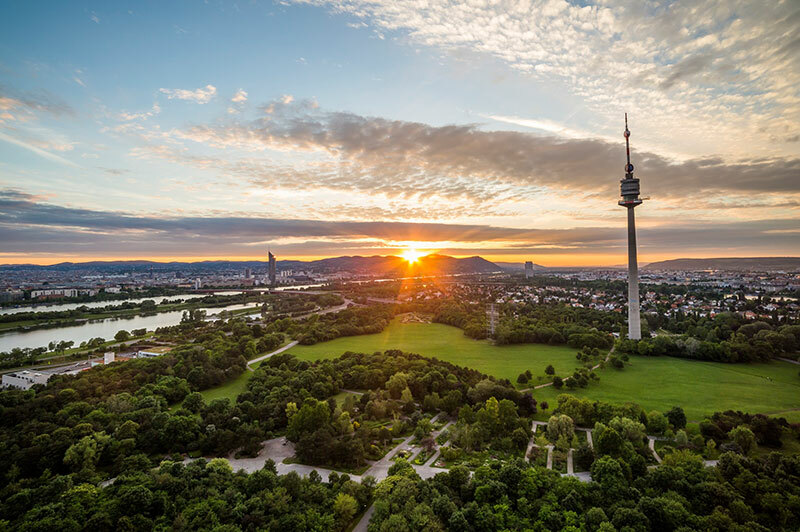 Situated on the northern bank of the Danube, the massive communications tower has been a part of the Vienna skyline since 1964. The viewing terrace at 150 metres (490 ft.) is the main reason to visit the Danube Tower (Donauturm). 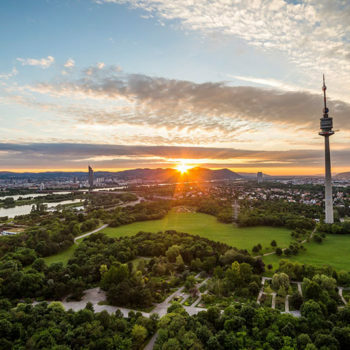 The 360° open-air platform offers spectacular views of Vienna and its surroundings. For thrill seekers who need an adrenalin kick, try bungee jumping from the tower. For those in less of a rush to get back on the ground, there is also a revolving restaurant in the tower at 170 metres. 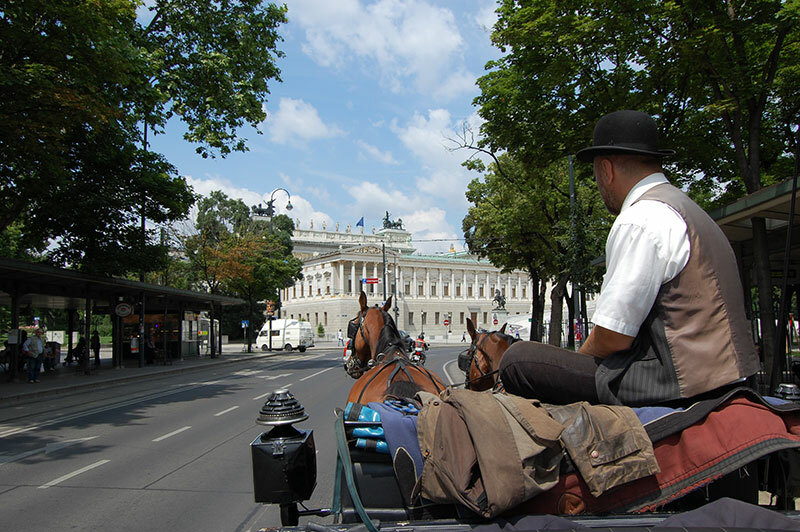 In the same way as a gondola ride in Venice, a trip with a fiaker (horse and carriage) is an essential ingredient for an all-embracing experience of Vienna. Before the car took over as the main means of transport, the Fiaker dominated the cityscape. 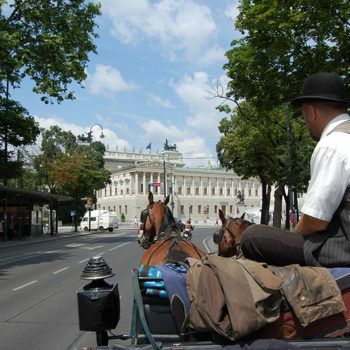 Indulge yourself with a sightseeing trip in an open carriage and knowledgeable coachmen or women. They usually are great tour guides not only giving you the standard historical anecdotes and facts, but also readily answer most questions about central Vienna. 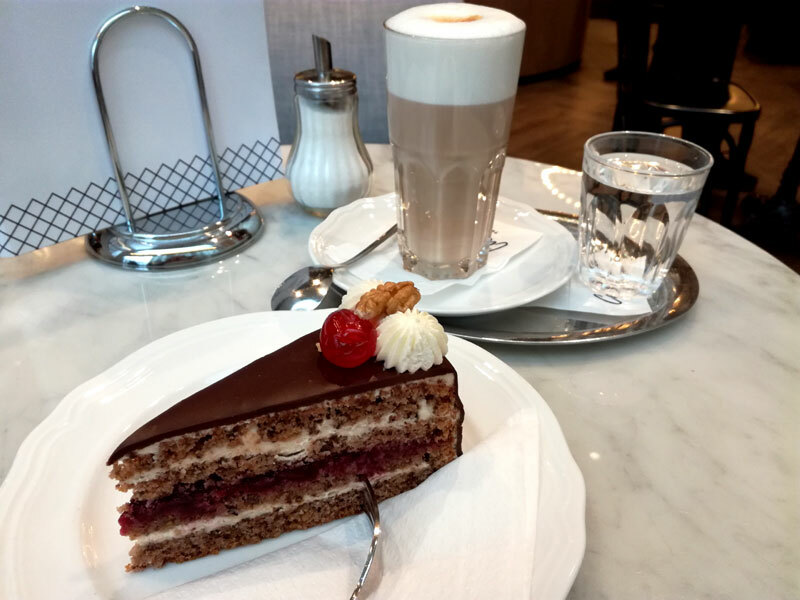 Austria is well known for its fantastic cakes and confectionaries, and a visit to a “Konditorei” is obligatory. Visiting at least one of Vienna’s many café’s or confectioner’s is an excellent approach to see the Austrian’s at play. And of course to have an exquisite cake! The café is an important part of the Viennese culture, and this is probably one of the best places to observe how the locals socialize. 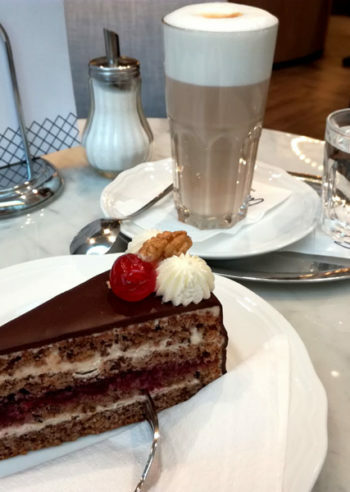 Even though famous places such as Demel and Sacher have high quality products, these places are mostly packed with tourists who make a quick splash and go. Thus, to relax and enjoy we recommend finding your way to some of the local favourites. Hidden away in the 21st district, Konditorei Kriegl, is a gem with good quality sweets, and it has a very nice terrace too. The Oberlaa chain is good and has nine cafes spread out in the city. You can of course consult any local and get their recommendations for a lovely café experience.